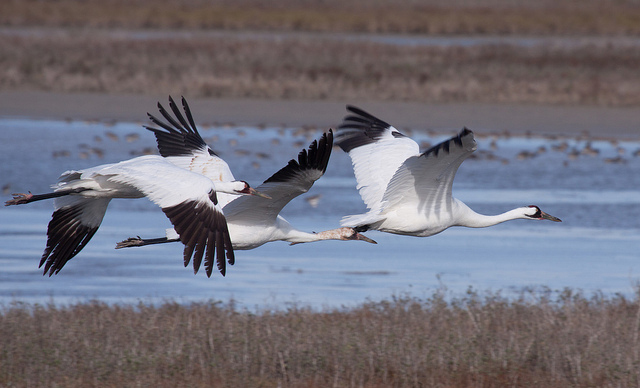 On the brink of extinction, only 15 wild migratory Whooping cranes remained in the early 1940s. Since 2001, with ultralight aircraft leading the way, a new wild flock is being reintroduced to the eastern U.S. The goal is 25 breeding pairs from 125 birds by 2020. This new flock has had limited success in nesting, and the fragile migratory population has a rocky road ahead. Why is it so hard for an endangered species to recover? The new Eastern flock provides a unique chance to learn about the challenges of survival.